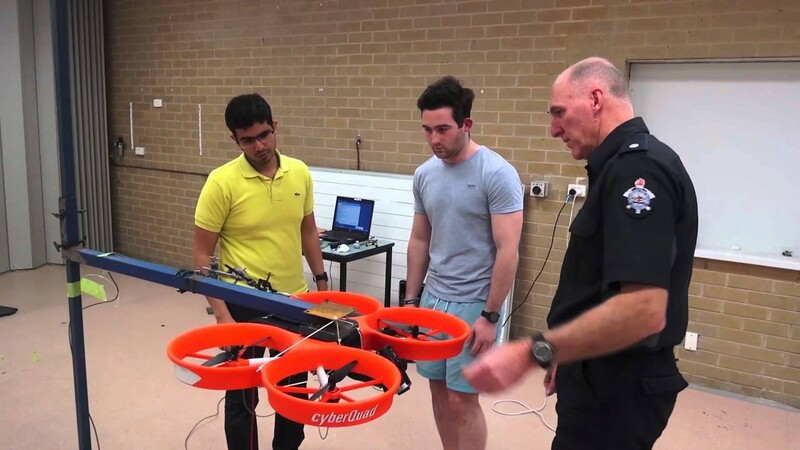 Melbourne’s Metropolitan Fire Brigade (MFB) is exploring the potential of newer unmanned aerial vehicles (UAVs) that could be used to augment or replace its existing fleet of four Australian-made CyberQuads. Firefighter and chief pilot David Rylance told the Association & Communication Events’ Connect 2015 conference that the brigade’s UAV capability was now “fully operational” and had its own allocated budget. This would allow MFB to explore options that weren’t available when it started training with CyberQuad UAVs in late 2012. “We are now looking at other product platforms that may work in conjunction with or replace or enhance our capabilities,” Rylance said. Separately, MFB is known to be conducting research with RMIT to incorporate gas sensors onto its existing CyberQuads. MFB has a fleet of four CyberQuads, including two Maxi models that are used in operations and two Mini models that are used for training purposes. One of the Maxis is fitted with a high-definition video camera while the other has a combined thermal imaging and standard definition camera. Rylance said UAV assistance can “be requested by any state agency”. So far, Rylance has been called upon by Victoria’s Country Fire Authority to help fight the Hazelwood mine fire in 2014, by the State Emergency Service (SES) for impact assessments after storms, and by Victoria Police. Within MFB, Rylance said a number of use cases for the UAVs had arisen. He said he was increasingly being called upon to film the aftermath of fires to aid investigators. The UAVs were also useful on hazardous materials (Hazmat) calls. “One of the biggest things with us as firefighters is safety,” Rylance said. “Still to this day in some situations, without knowing what chemical or what a hazardous material is, we need to send firefighters in to take samples and try and determine that. Other uses have included surveying a truck hanging precariously from a highway overpass. Rylance noted that the Hazelwood fire in 2014 was used as a trial for streaming video, which was relayed over the internet back to the state control centre. “It wasn’t until they got that footage live that they realised the extent of the fire down at Hazelwood and threw more assets at it,” Rylance said. Rylance said the MFB was working with the ACMA to ensure its video streaming meets compliance obligations. The Hazelwood job also threw up a few other challenges. As helicopters were being used for aerial bombing, Rylance said MFB had to coordinate UAV usage with the state airdesk, which controls air resources.